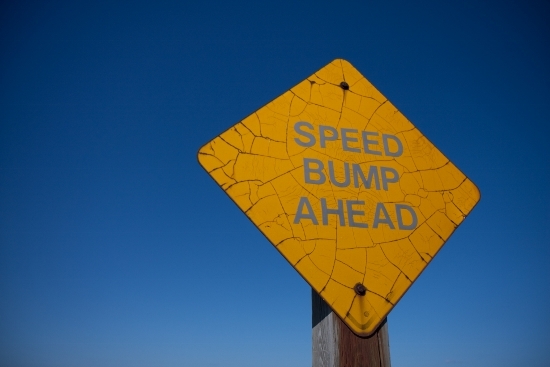 Life is full of speed bumps… bumps in the road and disappointments. No matter who you are, the thought of, “What if I fail” has crossed your mind at some point. To be frank, life has scared you – terribly. But, so what if you fail. Failure is not the end of the world. Actually, some failure is necessary in life, in order for you to experience what true success really is. Does life sometimes seem unfair to you? Do you feel like you fail miserably, every day? As hard as you work to be a better person, do you seem to get nowhere? Is it common for almost everything to go wrong, everyday? You may be fighting to keep your head above water, but for some reason, you continue to drown in the criticism you hear from others. What happens is that after a while, you begin to hear your critical voice on the inside begin to speak doubt about everything in your life. Then, before you know it… you adopt the doubt and the “Nay saying” voice as your own truth. That is where the foundation of failure begins. Your job or career seems dead-end. You feel you are useless to your family. You don’t have enough money to follow your dreams. You don’t have someone to love you for you. You feel like you are a bore to everyone else. But all of those things are just excuses. Failure is inside your mind. It doesn’t have a price tag on it. It doesn’t have a face. It’s a mind set. Therefore, you should never apologize for not being good enough because you are a person with value who deserves happiness. Don’t let others abuse you, and don’t abuse yourself. Decide to live a happy life… and put in the work to make it happen………. You are not a failure – never have been – and never will be.